Shinjuku is home to an incredible number of things to do, see, and eat, from Shinjuku Gyoen to shopping, to nightlife and ramen. It's easy to spend a day taking in Japanese culture here! We introduce an itinerary for a fun day and evening in Shinjuku. Shinjuku is full of things to do and places to visit, from morning to night. Shinjuku Station is considered the busiest in the world, and the surrounding area hosts some of the most events in Tokyo. 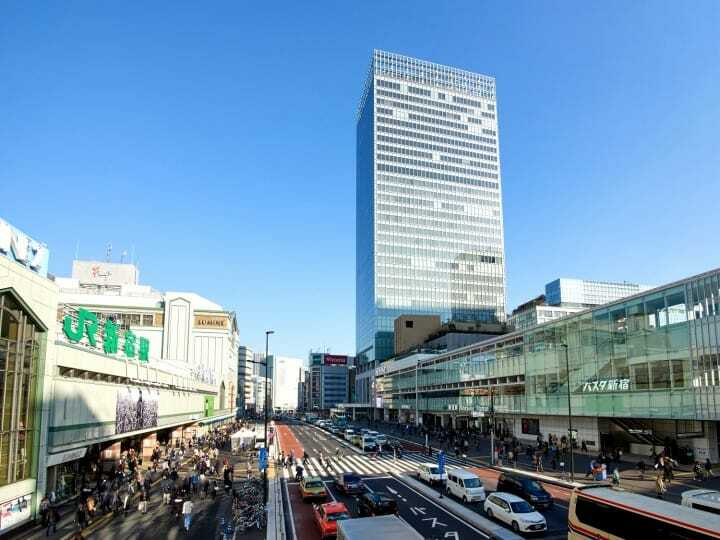 Here is a model travel itinerary of nine things to do, for a day in Shinjuku that'll make sure you enjoy all the most entertaining parts of the vibrant neighborhood. Picture from Sarabeth's In Shinjuku - Enjoy Eggs Benedict That Melt In Your Mouth! Breakfast is the most important meal of the day, and Sarabeth's in Shinjuku is one of the best places to go. There you'll find fluffy pancakes, and eggs Benedict that taste heavenly. Best of all, Sarabeth's opens at 9:00, so you can sleep in a bit before heading out for the day. Hanazono Shrine near Shinjuku Sanchome is a spot well known for its connections to the entertainment industry. In fact, the Geino Asama Shrine within its precincts is where the god of performing arts is enshrined. During the New Year's celebrations, this shrine is often visited by Japanese celebrities from stage and screen. If you're lucky, you may visit when Red Tent of the theater troupe Kara-gumi is up, and be able to see a Japanese theater performance, or one of the many markets that take place within the grounds too. Picture from Getting The Most Out Of Your Shinjuku Gyoen Visit! Shinjuku Gyoen was constructed 400 years ago on the property of a local feudal lord, became government property during the Edo period (1603 - 1868), and was later opened to the public in 1949. Entrance tickets cost 500 yen per adult, but the numerous gardens and sights to enjoy that spread out across this 58 hectare park. Or, if you are fan of the anime and movie "Your Name" (Kimi No Na Wa), the sixth full length animation movie by Makoto Shinkai, you may want to use this article as a guide to finding some of the real life spots that are shown in elaborate detail in the series. Picture from Kizuna Sushi, Shinjuku: Try Their 100 Kinds Of All-You-Can-Eat Sushi! Sushi is a must-try food for many coming to Japan, but finding the right restaurant can be daunting, as there are so many choose from. Kizuna Sushi near Shinjuku Station's West Exit, is popular with locals for its quality and prices of its sushi, and for its outstanding service. You can choose from a regular or an all-you-can-eat menu that features almost all the types of sushi available on the regular menu, plus a la carte menu dishes other than sushi, which makes this a great place to try out other Japanese foods as well. Samurai and ninjas are two of the best-known characters from Japanese history, but being able to truly get in touch with what the samurai is like is a rare opportunity, especially in English. In the Samurai Museum, you'll find displays of historical armors on the first floor, and weapons on the second. Here you can also try on armor, take part in sword skill demonstrations, and even learn Japanese calligraphy too. Bitter Sweets Buffet Lumine EST Shinjuku Branch is located inside the LUMINE fashion mall connected to Shinjuku Station. The inside of the shop is decorated with dark colored furniture, dimly lit, and arranged with mirrors and glass boundaries, giving the restaurant a luxurious ambiance that feels incredibly indulgent. This buffet doesn't only specialize in sweets however, they also have a great range of savory meals as well. But be warned, there is a time limit as to how long you can stay and enjoy the all-you-can-eat course, so you might need to choose your treats quickly to make the most out of it. Kabukicho, the most popular entertainment area in Asia, is just a seven minute walk from Shinjuku Station, and where you'll find bars, restaurants, izakayas, clubs, karaoke spots, and scores of other places that you can enjoy all night long. One of the most popular is, without a doubt, the famous Robot Restaurant, where you can enjoy stage shows, dazzling lights and lasers, and of course costumed performers, but if you want to get in on weekends, you should book your ticket in advance, just to be safe. On the other hand, if you prefer the cozy atmosphere of local bars and chattering with people who know Shinjuku like the palm of their hand, how about enjoying a drink in the famous Shinjuku Golden-Gai, a street lined with privately owned traditional bars? It's an area where you can get to know the story of Shinjuku, a town that has always been exerting a mysterious fascination on locals of travelers alike. As mentioned above, Kabukicho and the Shinjuku area is filled with karaoke spots. Karaoke is ideal entertainment for groups and even solo travelers and is a must-try activity in Japan. Most facilities are open 24-hours, so you can visit even during the late hours of the night. In Shinjuku, most facilities will have some amount of English and foreign language support. Rates vary by facility and depend on how many hours you use the karaoke room for. You can add all-you-can-drink options (alcohol and non-alcohol) and also order food to keep you satisfied while you sing. Picture from 10 Fantastic Shinjuku Ramen Shops Recommended By A Ramen Enthusiast! Ramen200 ramen restaurants in total. There are endless options to choose, from tonkotsu (pork-broth) to shoyu (soy sauce) and Hakata-style noodles. Some restaurants even offer vegetarian, vegan, and Halal-certified ramen, so all diners can try this exquisite Japanese comfort food. A common way to enjoy ramen in Japan is to have it for dinner or as a late-night snack after an evening of fun. After visiting Kabukicho and the plethora of nightlife options in Shinjuku, we suggest finishing the night with a bowl of savory ramen. Shinjuku is one of Tokyo's most popular areas and a place that you can easily spend 24 hours in if you're so inclined. It's even a great place to be if you've missed your last train!